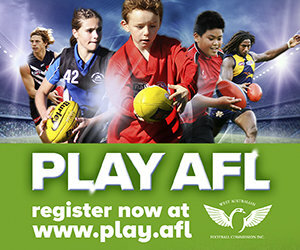 Bill Duckworth first began his involvement with the WAAFL in 1977 as a Colts’ player for WAIT (now Curtin Uni Wesley) before moving to West Perth where he played for two season. Bill was picked up by the Essendon Football Club where he played 126 games and kicked 64 goals. He was a premiership player in 1984 and 1985 including a Norm Smith Medallist in the 1984 Grand Final. In 1991, Bill returned to West Perth for another two seasons before joining North Beach in 1993 where he played 33 games and kicked 16 goals. He won a premiership with the club in 1993. He coached at North Beach from 1996 to 2012. In this time, he coached teams to ten premierships including seven consecutively from 2004 to 2010. He then coached the D1 side from 2014- 2015 making the Grand Final on both occasions. All teams coached by Bill have participated in finals. 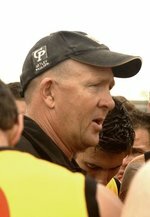 Bill Duckworth was awarded Life Membership of the North Beach Amateur Football Club in 2005. The WAAFL inducts Bill Duckworth into the Hall of Champions as a Champion.